Pentagon ABCDE ~ pentagon A''B''C''D''E''. What is the scale factor of ABCDE to A''B''C''D''E''? If angle A = 115, angle B = 130, angle C" = 95, and angle D" = 90, then what is the measure of angle E? 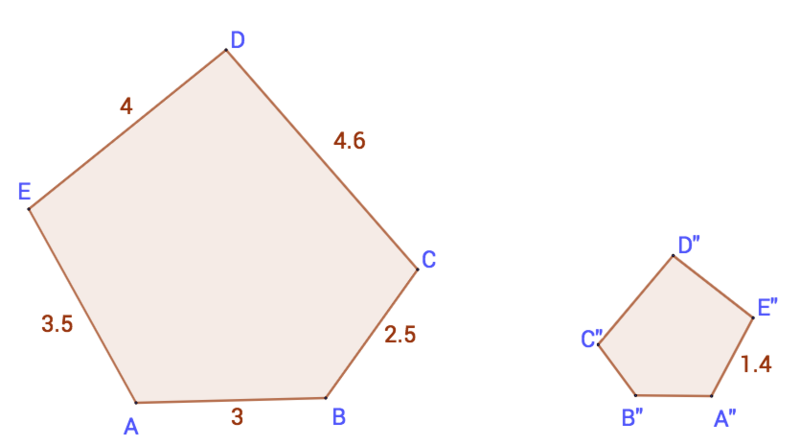 Two regular pentagons are _____ similar to each other.